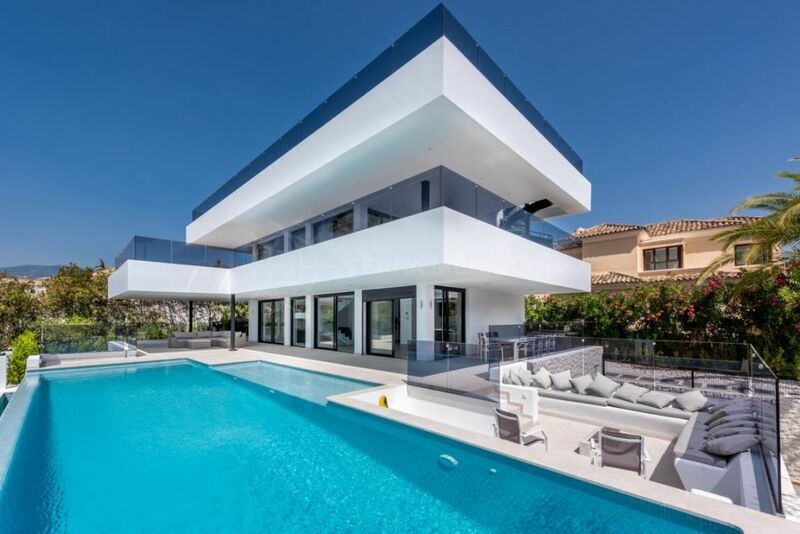 Located in the heart of the Golf Valley of Marbella, the residence boasts a contemporary and environmentally friendly architectural design by the renown architect Carlos Lamas. The open-plan layout creates a comfortable and stylish space which seamlessly links the rest of the villa. 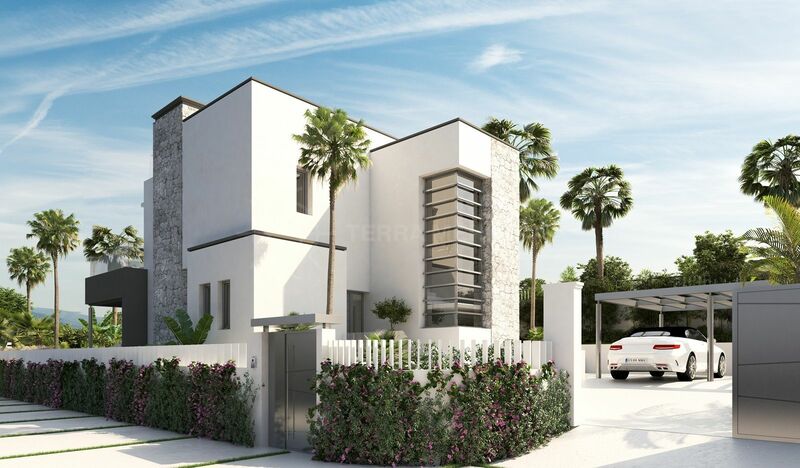 Exceptionally light and airy, the ground floor is designed to integrate the stunning landscaped garden and pool. The main floor of the home consists of a hall with a guest toilet, office, a living room/dining room with open plan kitchen, adjoining terrace and access to the garden. The upper floor includes the master bedroom with ensuite bathroom and two further bedrooms and shared bathroom. The basement has a further 2 rooms which could be used as storage or additional bedrooms, 3 bathrooms, a gym and storage room. The innovative design of the villa combines natural materials with state of the art technology to create an intelligent ecological home. An energy rating of CEE A saves energy consumption, 70% fewer emissions of CO2 into the atmosphere and an advanced domestic and home automation system are some of the extra features of this villa. "Stunning eco friendly home built with quality materials and finishes." Please, send me more information about ref TMNV08129, Villa in La Cerquilla, Nueva Andalucia or similar properties.